MagicArchiver can extract all popular archives. Using the shell context menu, it is very easy to extract archive with MagicArchiver. 1. Open "My Computer" and navigate to the archive you wish extract. 2. Right-click on the archive. 3. Under "MagicArchiver", click "Extract here using file name for folder name". 4. 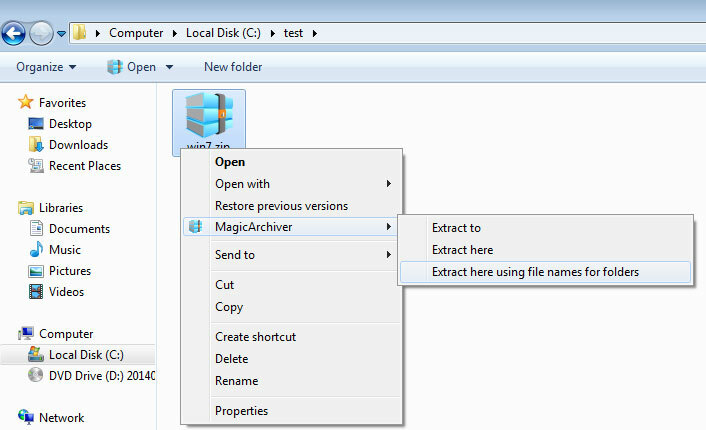 MagicArchiver will create a new folder in the current folder using the file name, and extract all files in the archive to this folder.